Those who are looking to sell their gold, silver, platinum or diamonds in NYC have a seemingly endless array of choices across all five boroughs. 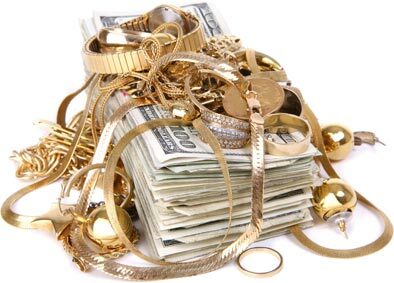 The decision regarding where to sell your gold may seem like a simple one, based on the sheer abundance of choices; however, choosing the wrong buyer can have you leaving hundreds of dollars on the table and feeling taken advantage of. DD Buyers recognizes that our potential and current customers have a wide variety of gold buyers to choose from, and that they may be wondering what sets us apart from other options in the area. To find out for yourself, contact us today at 646-736-7321. We look forward to hearing from you. It’s very easy to rent a store front for a couple of months, call yourself a gold buyer NYC, get as much money as you can and then close up shop. DD Buyers has been fortunate enough to serve customers in New York City and surrounding areas for over 20 years. Our well-earned reputation of exemplary service, quality products and fair treatment of our friends and neighbors in NYC has enabled us to come one of the premier gold buyers in the Diamond District. The best way to determine the quality of any business is to look at their years in business and to experience how they treat their customers; by these measures, DD Buyers is among the best in the area. We understand that some businesses in the jewelry industry source their product from questionable and downright disreputable sources, and we are proud the say that we’ve spent the last two decades trying to reverse that trend. DD Buyers has longstanding relationships with some of the most trusted and respected refineries across the globe. We employ the highest level of ethics in every one of our business practices, from where we get our products and raw materials to how our gold buyers treat customers looking to sell their unwanted items. We envision every interaction with a customer as an opportunity to build a lasting relationship. One of the most common concerns regarding gold buyers NYC is that they will try and lowball you and take advantage of you when appraising your products. DD Buyers is ready to offer you the highest possible offer on your items based on a transparent and open appraisal process that calculates market value, age and condition of your items. Call us today at 646-736-7321 to learn more about our gold-buying services and what we can do for you.